Taking the first step into purchasing contractor’s insurance is always a hard one. Everyone wants to ensure that their money is well-spent, and it is hard to do that if you don’t understand why you are purchasing it. The truth is, however, that whether you thought you needed contractor’s insurance or not, it is important that you do have it. Here’s what each type of contractor’s insurance covers, and why you might need that particular type if you’re a construction or contracting business. Business Owner Policies A package that combines multiple types of contractor’s insurances into one policy. Many small businesses take advantage of this great deal. Commercial Auto Insurance This covers any damage done to contractor vehicles on or offsite when an employee is driving that vehicle. General Liability Insurance This is what covers your business when a client or other third-party claims you’ve caused property and/or personal damages. Professional Liability Insurance This covers you against claims arguing that poor or neglectful workmanship caused financial harm to a client. Umbrella Policy This covers excess damage that is not included in other policies, usually up to $1,000,000. Workman’s Compensation Workman’s compensation is the law in nearly every state, so it’s very important that your policy includes some form of worker’s comp in it. This ensures that your employees and anyone involved with construction are covered in the event of a personal injury on the job. It’s Easy. Farmer Brown offers a quick, painless online form that takes minutes to fill out and gives you a free quote in no time at all. For most queries, a licensed insurance agent can discuss the right option for you in 24 business hours. It’s Personal. Don’t settle for a plan that doesn’t fit with your needs. Our quotes and offers are designed to give you the best general contractor’s insurance for your unique business needs. Help is Just a Click (Or a Dial) Away. We offer easy online application options so that you can get covered as quickly as possible. When it comes to getting the help you need, we don’t mess around. If you have any questions at any point in your application process, you can contact us. What is General Contractor’s Insurance? This type of insurance covers injury to others (both physical and monetary) in the event of an accident. In most cases, this is necessary to provide prior to starting work on a construction project. How much does general contractors insurance cost? 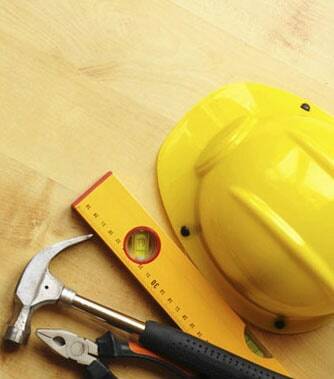 Most states require general contractor’s insurance prior to starting a work project. In the best-case scenario, you get slapped with a fine, and your company loses its credibility if you’re caught without contractor’s insurance. But what about the worst case scenario? You could be left paying for injuries or damage out of pocket, running of the risk of ruining your business entirely.